The final Elusive Target belonging to Hitman’s first season is now live. And it’s likely you know the drill by now: there’s only a limited amount of time to deal with the geezer, and if you fail the mission, there won’t be any second chances. 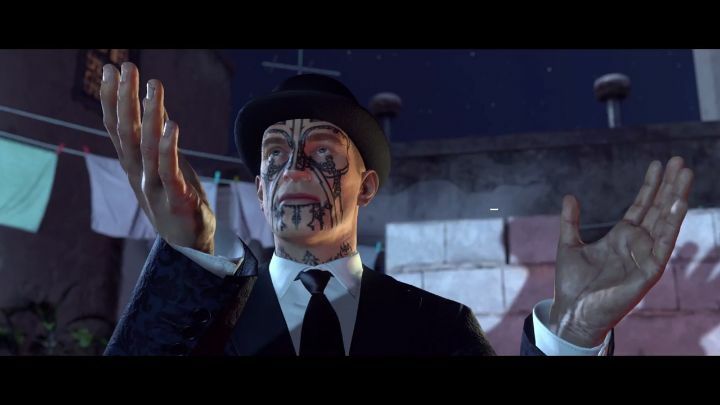 This time Agent 47 will be hunting an unsavoury guy known as “The Entertainer” in Marrakesh. The man runs an illegal, underground circus in the Moroccan city, and will be roaming the streets of Marrakesh at night as seen in the briefing video below. There will be a complication here though, as in order to finish the mission it will also be necessary to retrieve The Entertainer’s client list, located somewhere in the bustling city of Marrakesh. Although thankfully there are rewards waiting for those who complete the mission, and if you haven’t done so yet, this is the last chance to unlock the “summer suit with gloves” for Agent 47 if this is the first Elusive Target you nail in Marrakesh. 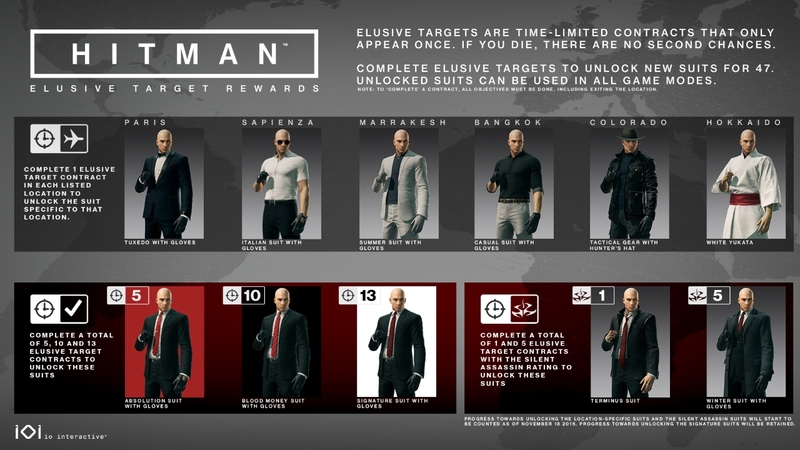 And those who have managed to complete more Elusive Target contracts will be able to unlock additional suits (those who have managed to put down half of all the Elusive Targets released to date will get the “signature suit with gloves”, giving you serious bragging rights, of course). Aside from releasing the final Elusive Target for the game, IO Interactive has also released the game’s July update, which makes several changes to the game. Chief amongst these are the combat changes, which IO says were done to “make combat more satisfying and viable for all players”. This reduces the damage Agent 47 takes when being hit by gunfire at long distances, and also increases the pace at which his health regenerates after having taken damage. Also, IO points out that these changes don’t affect the game’s new “professional difficulty”. Regarding this difficulty level, you may be happy to hear that it will be easier to unlock from now on, as it’s only necessary to reach a mastery level of 5 in each level instead of mastery level 20 to unlock professional difficulty from now on. This patch also includes several other fixes (it shortens the game’s load times on Xbox One) and quality of life improvements (trophy descriptions on PS4 should now be error free). IO also announced that it’s working on additional content for Hitman which will be available in August, as the company wraps up this first episodic season of the game. It remains to be seen, though, whether IO will be releasing future Hitman games episodically or not (the company had two more seasons of Hitman planned as it stated last year), given it recently parted ways with Japanese publisher Square Enix and became an independent studio. So maybe it’s time for Hitman to go back to its roots, with IO going back to releasing full-fledged Hitman games like it used to do in the past, as it appears this episodic adventure hasn’t been the success the company had hoped for. Either way, it’s clear fans of bald Agent 47 will be looking forward to the next instalment, whether it’s an episodic release such as Hitman 2016 or something completely different altogether.